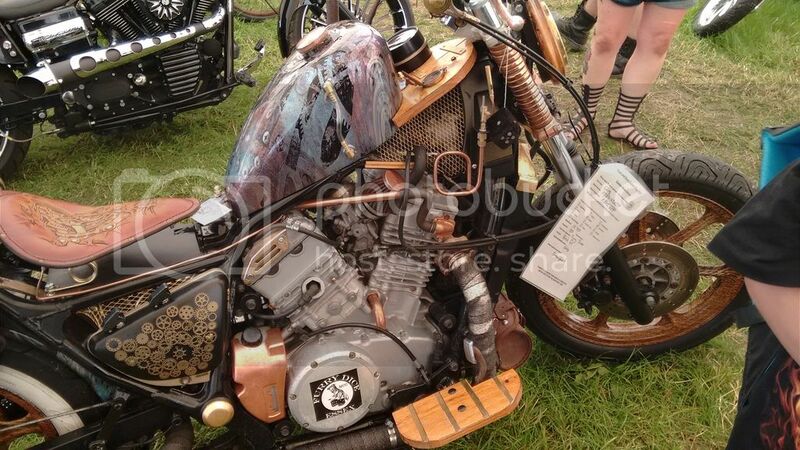 Some nice touches on that. 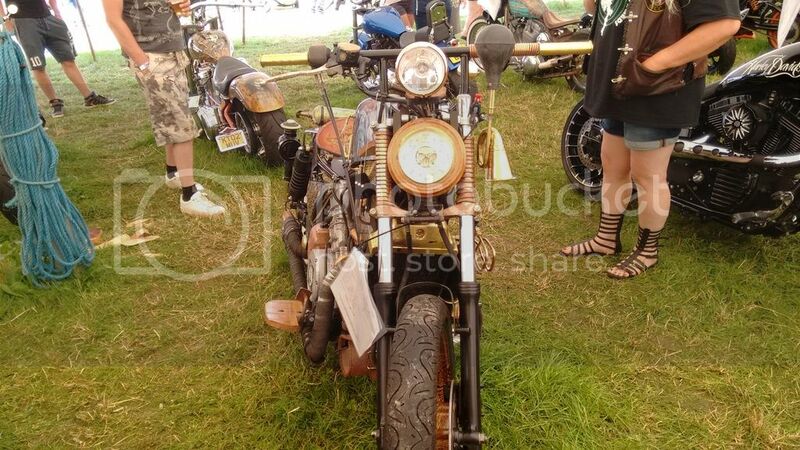 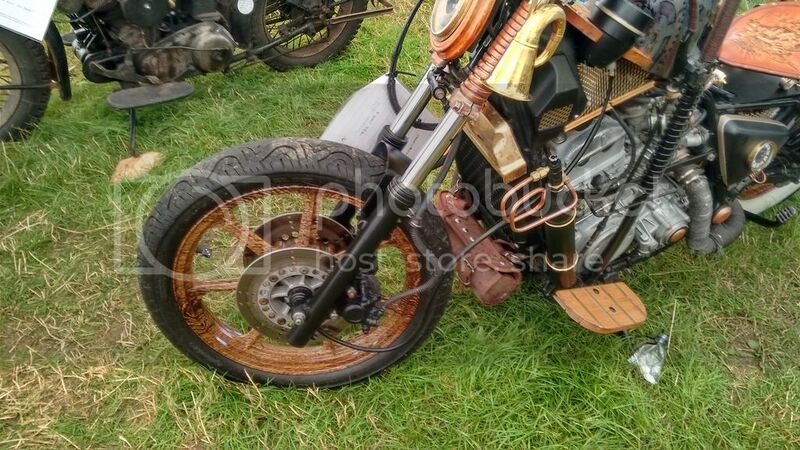 I've not seen many custom bikes for a while, and this one has plenty of wood, copper and brass! 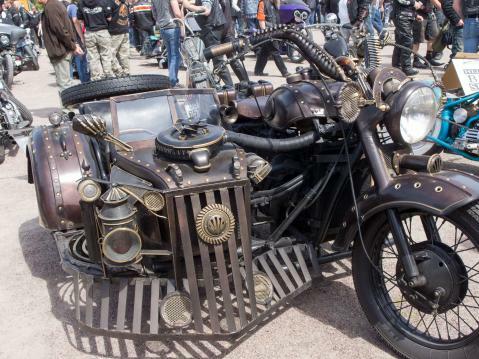 Wonderfully inspired work on the motorized bicycles there. 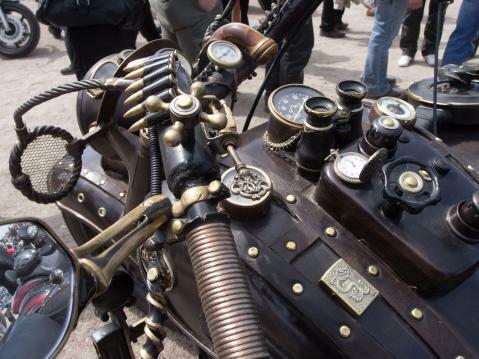 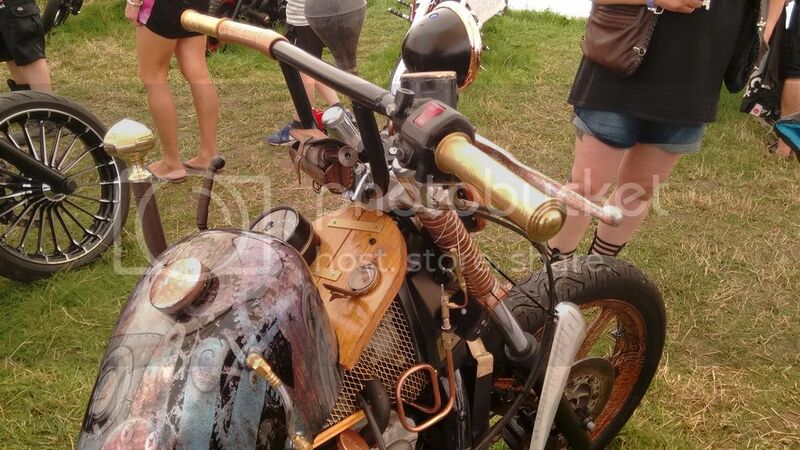 Motor bikes do lend themselves to a steampunk aesthetic. 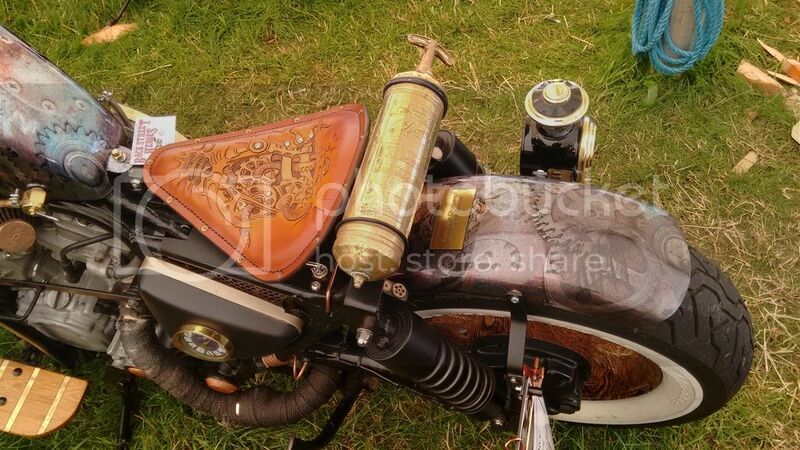 Please have it sent to me directly! 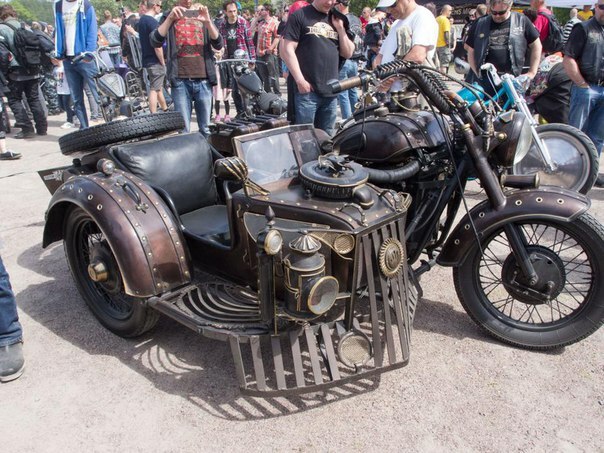 I really like the one with the sidecar.